Among many gifts of excessive dependance on mobile phones and computers coupled with bad posture are problems of the cervical. In earlier articles we have discussed the three major nadis regulating flow of prana in the body – Sushumna, Ida and Pingala. Sushumna corresponds to the spine in the physical realm and aids the rising of kundalini through various chakras. Ida and Pingala are moon and sun nadis twirling around the chakras and maintaining a balance in the cold and hot prana, the left and right side of the body. Another significant nadi in the Pranmaya kosha is Gandhaari, which controls the cervical region. Gandhari is the principal balancing force in the body, which ensures that you do not lose balance as you twist and turn or move about. Gandhari moves in a circular manner starting from the Mooladhar chakra uptil the Agya and back again. It is imperative to balance this nadi to ensure long-term balance of the body. You might be surprised to know that the root cause of degenerating diseases such as Alzheimers and Parkinsons, as observed clairvoyantly, is the malfunctioning of Gandhari naadi. The first indication of imbalance in Gandhari naadi is drooping of the shoulders, your posture changes and you feel pain. Cervical is not just any pain. It is a warning sign that something severely adverse is about to manifest in your body. Therefore one must immediately start with corrective measures. Sanatan Kriya details a pranayam and certain asanas for optimal functioning of Gandhari nadi. To perform the pranayam, inhale deeply and internalize. As you inhale, become aware of the upward pranic movement from Mool chakra to Agya. Hold your breath and become aware of the praan moving down to the Mooladhar from the right side and returning back again to crown chakra from the left to complete a circle. Release your breath while maintaining awareness of the Agya. Inhale and hold your breath again. This time become aware of the prana flowing down from the left side from Agya to Mooladhar and coming back up from the right side. Try to feel the Gandhari naadi with your awareness. Having completed the circular movement of prana in both directions, exhale and deposit the prana that you so collected at Agya back to the Mool chakra in a straight line. Repeat the entire process seven times. Here it is important to understand that pranayam is not a physical exercise, it pertains to the etheric body – prana, nadis and consciousness. Often certain rapid breathing techniques are sold off-the-shelf in the name of ‘pranayam’ claiming they would increase oxygen in the body so you feel more healthy. If that was the case, everyone should start sporting oxygen masks and they’ll be floating! More is not always good. One should strive for the optimum. In a pranayam one observes the Pranamaya kosha to identify where there is congestion and depletion of prana, and balances it accordingly through consciousness. It is recommended that you visit your nearest Dhyan Foundation center to learn the correct way to practice this pranayam. 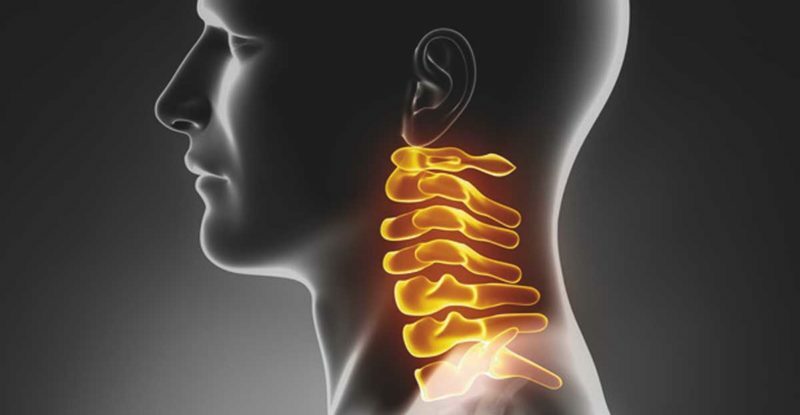 In the next article we will learn certain asans for correcting cervical problems.